Metals were down in the early part of the week. However on Thursday it got a slight boost that it held onto through Friday. In the end gold posted a positive week despite the earlier losses. 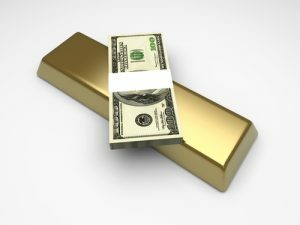 The dollar rallied this week putting pressure on gold prices. Some disappointing inflation data Thursday gave gold a boost and softened the dollar though. Geopolitical uncertainty further supported metals. The inflation data was positive for gold because it indicated that price pressures are increasing, but not at a pace that warrants aggressive action from the Fed. The uncertainty this week was over Iran and Israel. President Trump announced that he would be withdrawing the United States from the Iran treaty brokered under President Obama. Furthermore, the U.S. re-instated sanctions against Iran. On Thursday in the wake of the announcement, Iran launched rockets at Israeli military positions in the Golan Heights, and Israel countered with launching rockets against Iranian military infrastructure in Syria. What this means for investors: With reconciliation on the Korean peninsula looking more promising, gold has not been getting much support on the geopolitical trade. However there is still a ramping up of tension in the Middle East that is going to increase volatility. Gold is up for the year, and in fact has outperformed the S&P 500 so far this year, despite the continuing stock rally. After news of the President cancelling the Iran deal, oil prices shot up to $70 a barrel. They reached their highest level since 2014 as sanctions were re-imposed against Iran. This is due to lower expected output of oil with the Iranians out of the market. In early 2016, oil prices were sitting around $30 a barrel as eased sanctions were helping Iran raise the global supply. However, the global supply has already been tightening, and the news this week increased investor fears of rising oil prices. What this means for investors: Gold prices are often positively correlated to oil prices. The spike in oil prices likely contributed to some of the bump gold prices got this week. 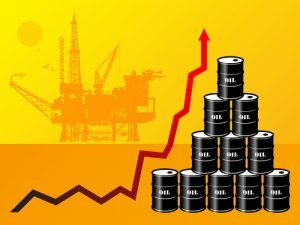 Rising oil prices indicates trouble ahead, and gold rises on safe haven demand. The gold-to-silver ratio is at a 20 year extreme right now. It’s a near record high at about 80 to 1 (80 ounces of silver being equivalent to approximately an ounce of gold). 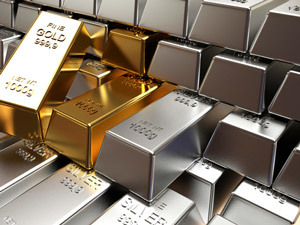 What this means for investors: We are recommending converting gold to silver right now. It’s a buying opportunity for silver. 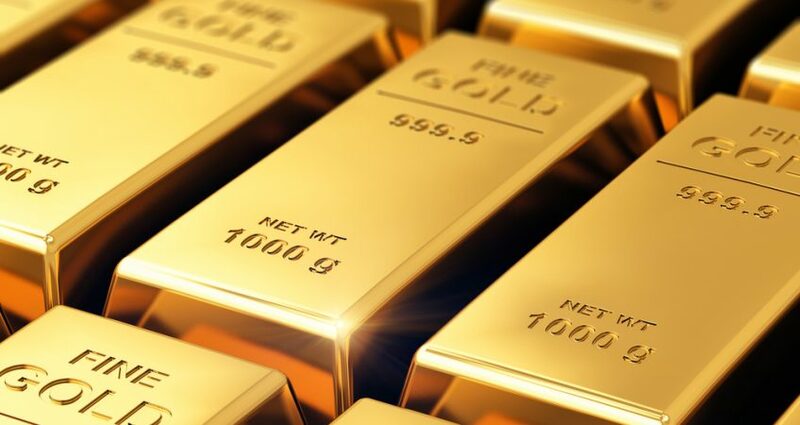 Give us a call to discuss further how the gold silver ratio is impacting your portfolio right now and how to optimize your precious metals holdings. It’s not news anymore that the U.S. debt level is at unprecedented levels. This year it hit $21 trillion and interest payments on the debt alone are at $800 billion. In the following video, Rick Santelli breaks down why we should be paying more interest to the debt problem. Santelli Exchange: Taking more “interest” in our debt from CNBC. Stay Connected to the Markets. Subscribe Now to Get the Gold Market Discussion Delivered Every Sunday Directly to Your Inbox!